Chief Master Sgt. Michael Ditore is the new command chief for the Air Force Test Center at Edwards Air Force Base, Calif.
Ditore comes to Edwards from Kadena Air Base, Japan, where he served as the 18th Wing command chief master sergeant. 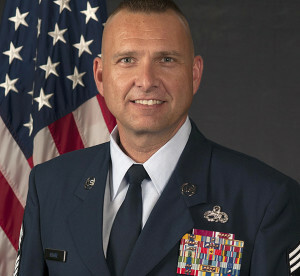 As the AFTC command chief, he is the principle adviser to the commander and senior staff on all matters pertaining to morale, welfare, professional development, training and effective utilization of the center’s 18,000 military and civilian personnel across three military installations and 30 geographically separate units. The AFTC is a $31 billion enterprise that provides developmental test and evaluation of experimental and research manned and unmanned air, space and cyber systems for the military services, DARPA, NASA and international partners. The AFTC also operates the U.S. Air Force Test Pilot School. Ditore entered the Air Force in October 1991. He graduated from the tactical aircraft maintenance specialist course at Sheppard Air Force Base, Texas. 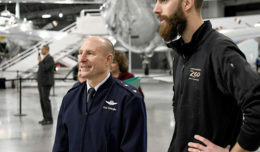 He has an extensive background in aircraft maintenance on various weapons systems including the F-15, F-16, MQ-1, MQ-9 and HH-60. 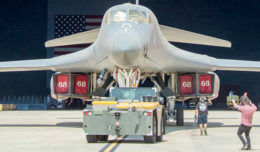 Throughout his career, he has filled numerous roles to include a special duty tour with the United States Air Force Air Demonstration Squadron “Thunderbirds” and leadership positions at unit, squadron, group and wing levels. His assignments include bases in Germany, Nevada, Alaska, Idaho and South Korea. Ditore replaces Chief Master Sgt. Christopher Lantagne who has taken a new assignment at Joint Base San Antonio, Texas.